This book demonstrates how The House Gun and Get A Life by Nadine Gordimer, Disgrace and Elizabeth Costello by J.M. Coetzee, and The Heart of Redness and The Whale Caller by Zakes Mda, inspire the environmental awareness and contribute to the field of the environmental justice by insisting on the power of nonhuman agents. 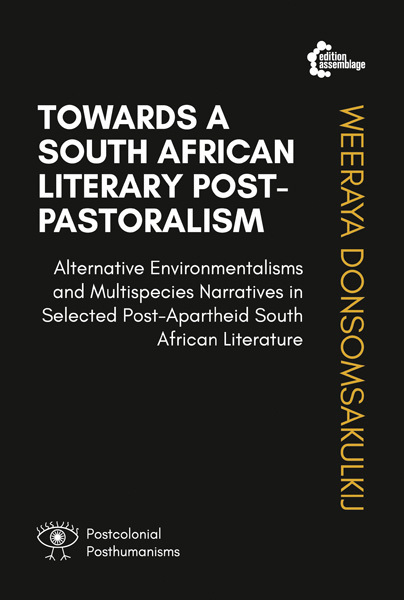 The book employs insights of “postcolonial-material ecocriticism” to discover a way of reading fictional representations in which all entities reflect on the enmeshment that challenges the binary segregation. The South African fiction is scrutinized as alternative environmentalisms, mirroring a turn to rethink nonhuman positions as a way to subvert anthropocentrism.